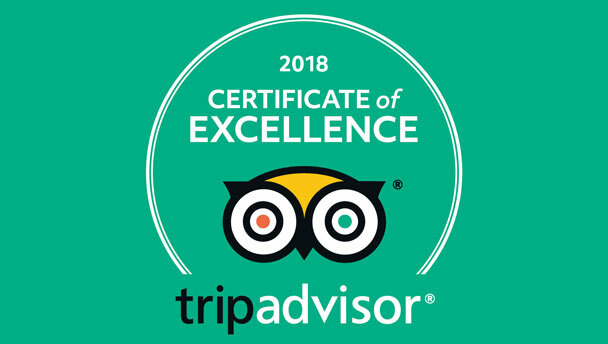 In Brief: Beijing Hikers has been awarded TripAdvisor's 2018 Certificate of Excellence—our fourth year in a row! We're very happy to have been awarded the 2018 Certificate of Excellence from TripAdvisor! This makes it four years in a row. What is the Certificate of Excellence? TripAdvisor gives a Certificate of Excellence to accommodations, attractions and restaurants that consistently earn great reviews from travelers, and they add that “This recognition helps travelers identify and book properties that regularly deliver great service.”. Thanks again, all reviewers! If you haven't reviewed us yet and would like to say thanks for a great hike, we'd appreciate your review! Best way to see the wall! Thank you so much for two wonderful camping trips and four great days hiking on the great wall!